There is nothing constant except change! 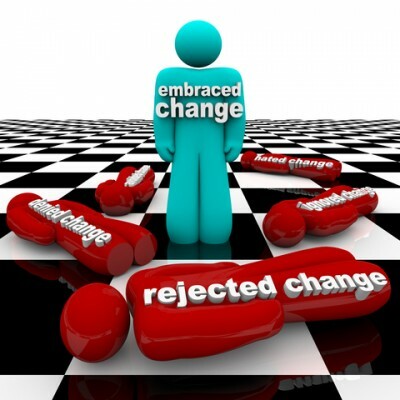 Without change a status quo can never be maintained in business. You could have the best market share and your shareholders will demand you do better, even if they are content your competitors will want a part of your success and follow your formula eroding your share and putting your business into decline. The only alternative to decline is active change. As human beings we are creatures of habit, we abhor change and we fight against it. As the leader of your business or enterprise it may be obvious to you what your business strategy is and what you need to do to enact it. The difficulty is that since people are what makes your business succeed you need your people behind the change and they will naturally resist it, systematically undermining your strategy in a scenario which will become increasingly difficult for you to control.